Rich dark chocolate with a dash of sea salt which is perfectly offset by the sweet toffee crunch. Cocoa mass, sugar, butterscotch 10% (sugar, glucose syrup, butterfat (milk) salt), cocoa butter, sea salt 0.5%, emulsifier: sunflower lecithin. For allergens see ingredients in bold. May contain cereals containing gluten and nuts. Cocoa, sugar: traded in compliance with Fairtrade Standards. 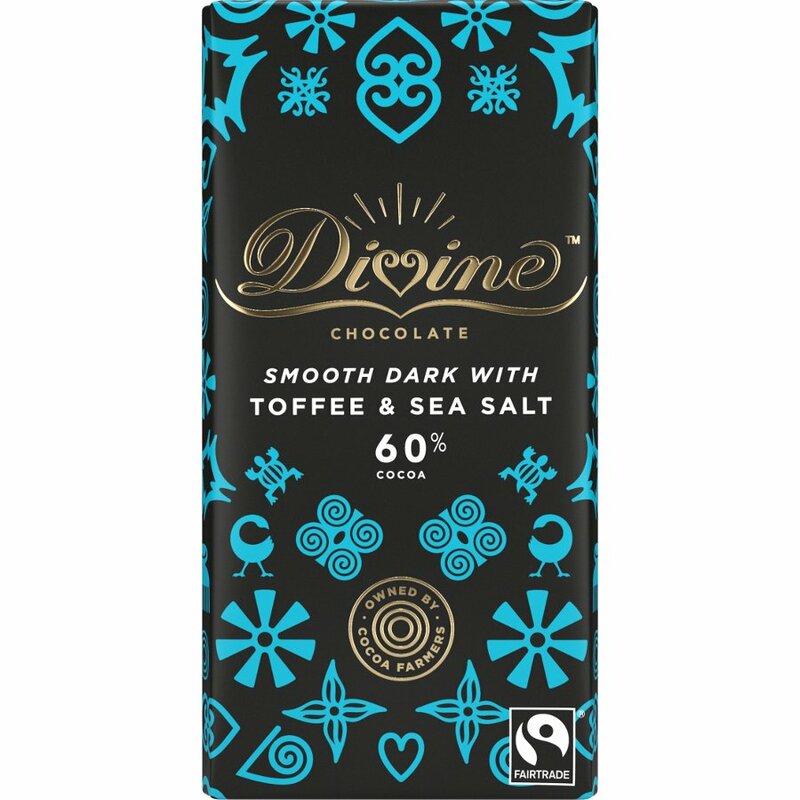 There are currently no questions to display about Divine 60% Dark Chocolate with Toffee & Sea Salt.